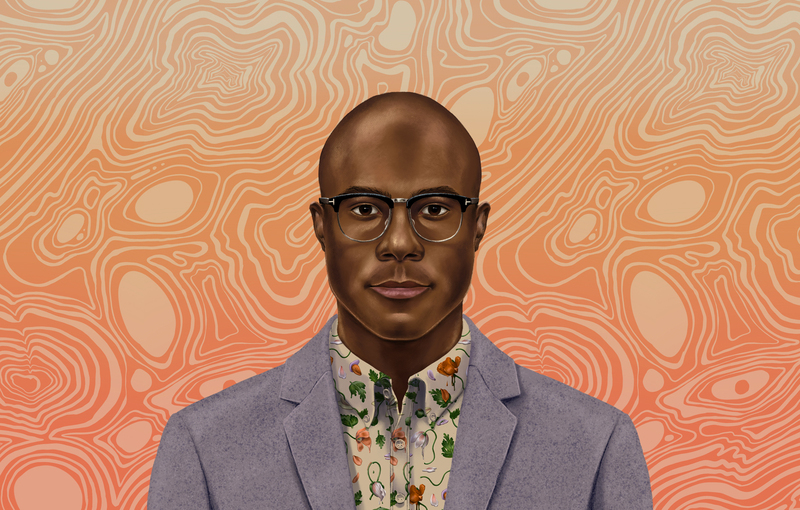 Behind the Mac creator celebrates his literary icon<br/>Barry Jenkins on James Baldwin, Filming Black Skin and Filmmaking in the iPhone Era<br/>Oscar-winning director Barry Jenkins says he “stumbled into filmmaking,” attending Florida State University for some years before discovering its film school. “I went to film school right at the turn between old school cinema and new school cinema,” Jenkins says, “so we actually learned to edit films on these things called flat beds … you have to actually physically cut the film and tape it back together. So, doing that for a full year and then transitioning to what they call non-linear editing, it was shocking. <br/>Trained in traditional and modern filmmaking, Jenkins blends his craft with digital equipment like his ARRI Alexa camera, MacBook Pro and even his new iPad Pro. “These Arri cameras and the Apple platform are the two things that have helped me become the maker that I am,” Jenkins says. <br/>His latest film, adapted from James Baldwin’s “If Beale Street Could Talk,” is a cautionary tale about black life in America in the 1970s, spotlighting the hardships a young couple face navigating a changing world around them. The novel was published in 1974, six years after Martin Luther King Jr.’s assassination in 1968, and a decade after the passage of the 1964 Civil Rights Act. <br/>Baldwin’s literary tone is critical and unapologetic about his analysis of the state of the world around him. He crafts a delicate balance between the beauty and the brutality of America. <br/>In Jenkins’s adaptation, that balance is achieved through portraits of moments shared between Tish (played by KiKi Layne) and Fonny (Stephan James), from the streets of Harlem to the West Village, to the bulletproof glass at the Manhattan Detention Complex — or the Tombs. <br/>To translate Baldwin’s words into moving pictures, Tish narrates the events that led to her and Fonny’s current status: in love, expecting and fighting for Fonny’s freedom after his wrongful arrest. <br/>“If Beale Street Could Talk” is the first English-language fiction adaptation of Baldwin, a feat with its own set of unique challenges. <br/>Shot on an ARRI Alexa 65, “Beale Street” gives audiences a close, intimate look at black life. Jenkins is grateful for the ability to capture the intimacies of black family and love, dreamed up by his literary icon, in such a large format. <br/>Beyond the new cameras, filmmaking still requires a bit of magic. Enter the editor. <br/>Joi McMillon is a longtime Jenkins collaborator. One of the two Oscar-nominated editors on “Moonlight,” she “breathes” Avid on the Mac Pro. McMillon worked with Jenkins and cinematographer James Laxton to bring the film to life. <br/>In one scene, Fonny and Daniel (Brian Tyree Henry) spend hours in Fonny’s apartment catching up, moving from small talk to something troubling for Daniel. <br/>Jenkins wanted the audience to feel the energy being transferred between Fonny and Daniel. A camera slides slowly between them, a progression deeper and deeper into Daniel’s mind and Fonny’s reaction. <br/>That immersion is now a Jenkins staple. Audiences sat at a similar table in a diner in “Moonlight,” and even floated in the ocean with those characters. <br/>Today Jenkins, McMillon and the “Beale Street” family are once again on the awards circuit. The film is nominated for three Oscars: Best Supporting Actress (Regina King), Best Original Music Score (Nicholas Britell) and Best Adapted Screenplay (Jenkins).